Take Exit 42, at second stop light (Rte 1) turn left. At first stop light take left into the Enterprise Business Park, bear right onto Technology Way. Katahdin is the second building on left. 600 Technology Way. 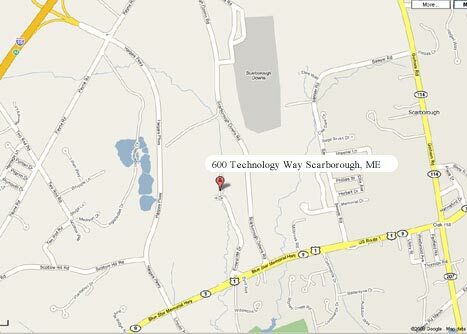 Take Scarborough/Old Orchard Exit (Rte 1) follow Rte 1 South. After 6 Stop lights look for Scarborough Downs sign on right. Turn right onto first roadway after Scarborough Downs Sign(Enterprise Business Park) Turn right onto Enterprise Rd and follow, bear right onto Technology Way. Katahdin is the second building on left. 600 Technology Way.